“Turn the gas up!” shouts the extractor fan over the hob. “The porridge won’t cook at that low temperature.” It grins in that wide-mouthed way it has. “Sorry,” says Rebecca, turning the gas up and stirring the porridge. She’d never liked the extractor fan with its all-seeing blank eye. Mark’s mother had warned her when she’d chosen it, but she hadn’t listened. No wonder Mark only ever eats cereal from his big, plastic bowl. It’s quiet. The kettle, which Mark’s mother chose for her, winks from the counter. She turns it away, so it can’t watch, and considers the pot of basil on the window sill. Snapping off a leaf, she crumples it, inhales its sausage and tomato smell, doesn’t see it wince in pain. “Oh shut up!” says Rebecca, switching it off. Silenced, it glares at her. 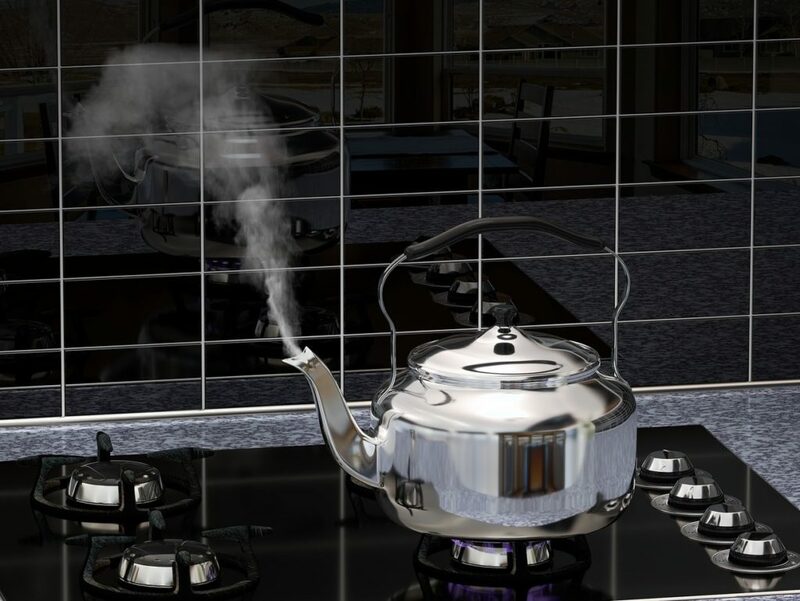 “Not good enough,” says the kettle, pumping steam over the window. “Such a waste,” agrees the fridge, shuddering. “Incompetence. I did tell you,” sighs the tap in a stream of water. In a frenzy, Rebecca hurries around the kitchen, unplugging here, switching off there, shutting this away in a drawer and that in a cupboard. She leans on the table with her head in her hands as the silent appliances press in on her. Finally, she phones Mark at work, asking him to pick up a salad for tea. The basil on the windowsill quakes. Helen Chambers is a flash fiction and short story writer from Essex, UK, where she likes walking by the river with her head in the clouds, dreaming up ideas. She won the Fish Short Story Prize in 2018, has an MA in Creative Writing from the University of Essex, and several other publications. She blogs at helenchamberswriter.wordpress.com.